This recipe is super easy, yet very tasty and healthy. 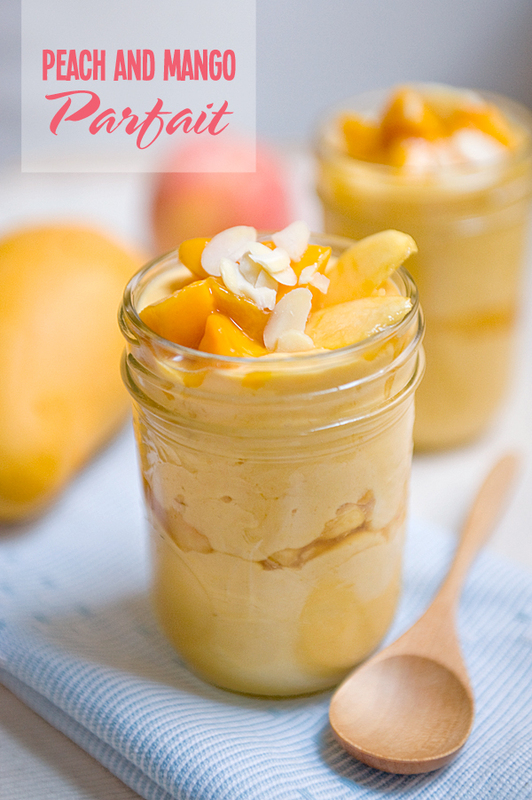 Since peaches and mangoes are in season, this tastes even better. The recipe was adapted from Andre Jourdan’s 150 Best Desserts in a Jar, published by Robert Rose. 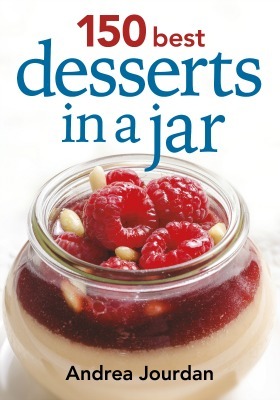 The book contains many creative recipes, such as puddings, parfaits, jellies etc. that are fun and easy to prepare. Presenting desserts is a great idea for family dinners, even dinner parties, as they are easily portable and can make great gifts. I don’t have step-by-step images for this recipe, as it is so easy to prepare, I am sure any cooking novice can make it without difficulty. Peaches: In a bowl, combine peaches and maple syrup. Mango Purée: In another bowl, whisk together yogurt and mango purée. Fold in almonds. Assembly: Spoon half the mango mixture into jars, dividing equally. 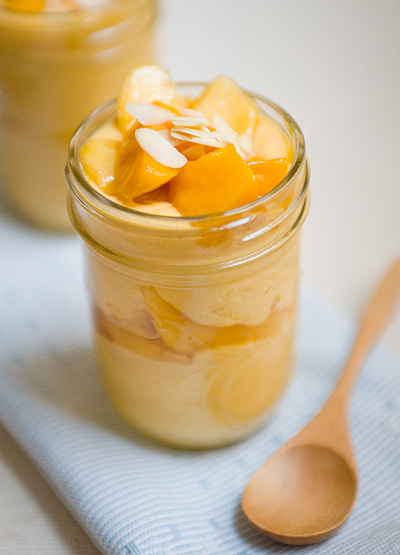 Cover with peach mixture, dividing equally.Top with the rest of the mango mixture and serve immediately. Tips – For better results, use pure maple syrup. Maple-flavored and other artificially flavored syrups should be avoided because they have none of the benefits of real maple syrup and they contain too much sugar.Pure maple syrup is actually a healthy sweetener. It provides manganese, zinc, potassium and riboflavin, among other nutrients. You can purchase canned mango purée at most supermarkets. You can also make your own. To produce the quantity required for this recipe, purée 4 large mangoes (you may need a bit more or less, depending on the variety), ¼ cup granulated sugar and 1 tbsp. freshly squeezed lemon juice. Excerpted from 150 Best Desserts in a Jar by Andrea Jourdan © 2013 Robert Rose Inc. www.robertrose.ca. May not be reprinted without publisher permission. The recipe used store-bought mango purée, but I made my own by blending ripened ataulfo mangoes, and I didn’t even have to add sugar as the mangoes were very sweet, the sweetness was just right when mixed with the yogurt. As for the yogurt, I used what I had at home – plain fat-free Greek yogurt, the texture was very creamy and thick, which is great for this recipe. This is a truly healthy dessert, the only sweetener was the maple syrup in the peaches. I am surprised at how delicious and refreshing this tastes. The sliced almonds also adds a nice crunch. I would definitely make it again. If you don’t have jars to serve them in, it can be easily presented in glasses, bowls, whatever you have at home. Give this a try!